I bet Hertfordshire, the home of our Tring Museum, is covered in snow as I write this blog. And lots of local children will be getting even more over-excited than usual as they start their half-term holidays this weekend. Another source of excitement is sure to be the opening of our Tring Museum's Animal Record-Breakers exhibition earlier this week. As well as the chance to gasp at incredible records and feats in the animal kingdom as we run up to the Olympics, the exhibition has lots of entertaining games and challenges for children. Big beetle displays. Rhinoceros and dung beetles in the Scarabaeidae family are among the strongest animals for their size. Some species can carry up to 850 times their own weight. 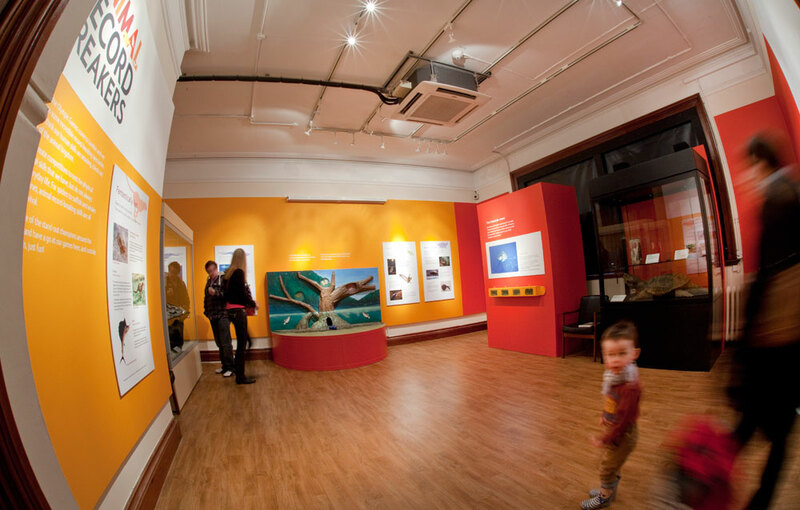 I asked Alice Adams, Tring's Manager who helped design the exhibition, about its first week. 'Since we opened on Monday, all the kids and especially the two visiting schools have been having brilliant fun in the exhibition. Parents and teachers taking pics of the kids with the horns, the animal sounds have been intriguing them and seem to be inspiring lots of animal noise-making from the kids - mostly howling wolves. 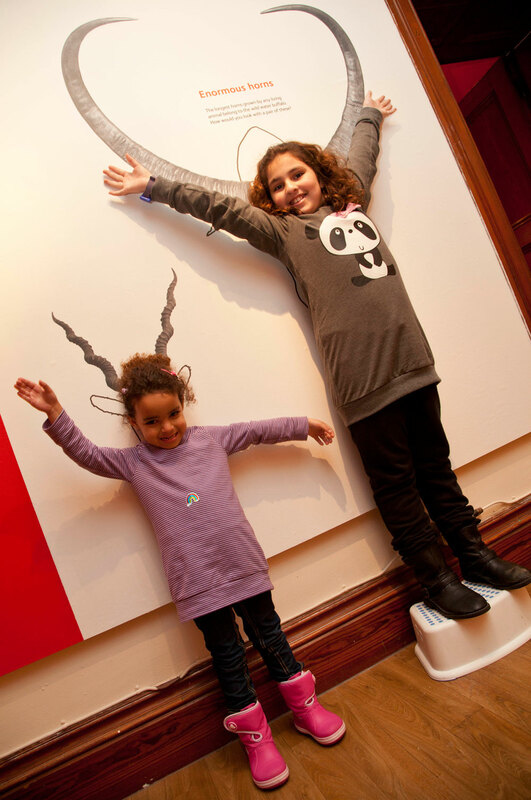 Try out the Archerfish game or see what you look like in horns at Tring's new Animal Record-Breakers exhibition. 'The archerfish game is getting a good pounding too. Great to watch the kids get the hang of it and see their faces when they get the ball through the flap and it pops out at the bottom of the tree. From the scary to the pretty. 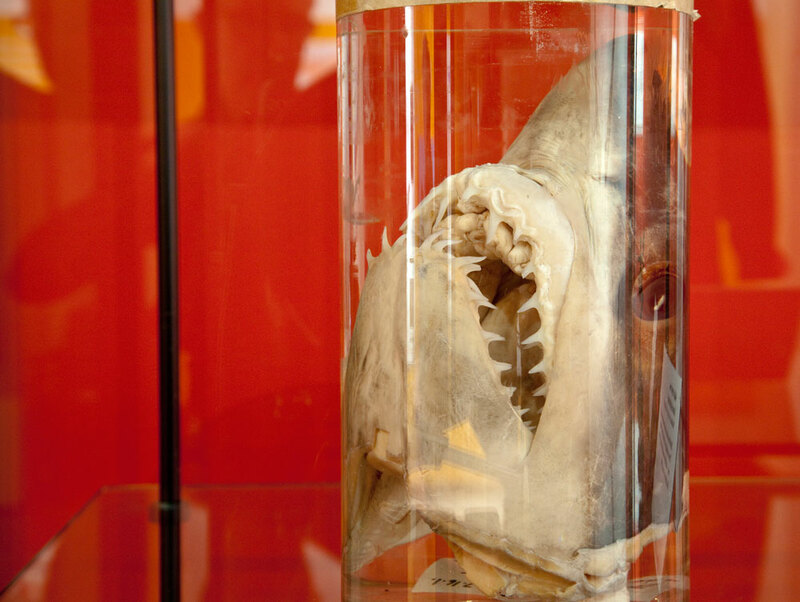 Left: Mako shark head, Isurus oxyrhynchus. 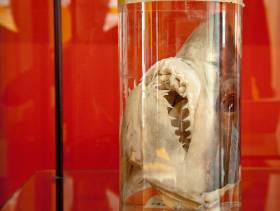 Sharks have a better sense of smell than any other fish. Right: Purple-throated carib, Eulampis jugularis. 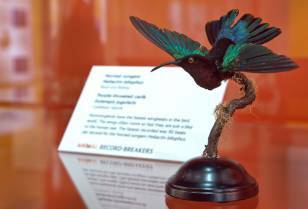 Hummingbirds have the fastest wingbeats in the bird world. 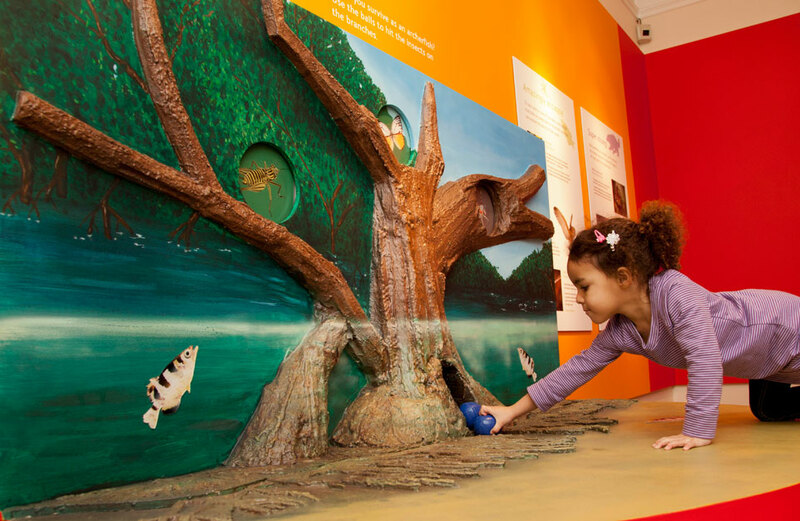 The exhibits explore the animal champions and runners-up so you'll find out the fastest, loudest, longest, most dangerous and much more. 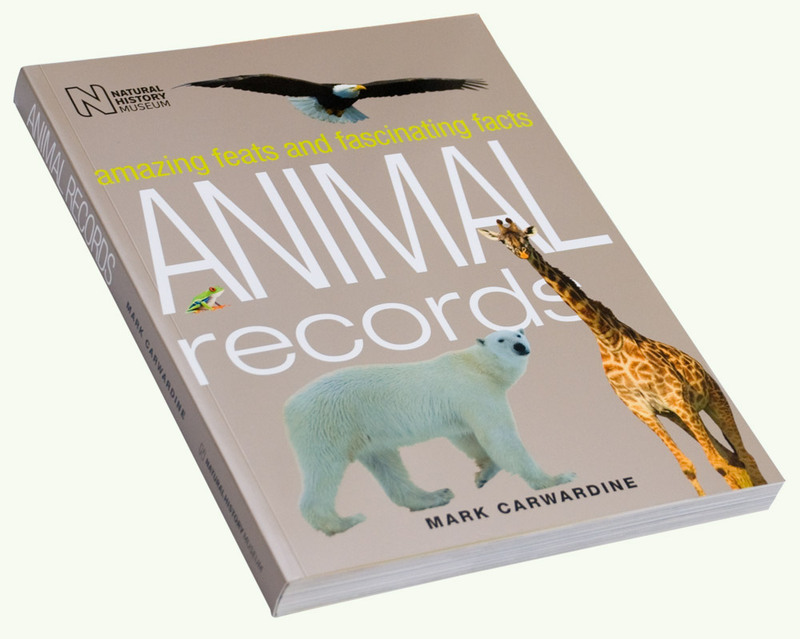 The Animal Record-Breakers exhibition is free and well worth a visit at half-term or if you're visiting the Tring area over the coming months. 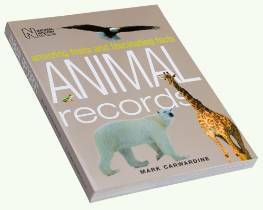 And if you want to know more, there's the Museum's Animal Records book by Mark Carwardine. It's on sale at Tring's exhibition and online. The book inspired the exhibition and is packed full of fab facts and photos. Last week we honoured Captain Scott's heroic three-man team who on 27 June 1911 set off on one of the worst Antarctic journeys ever known to find Emperor penguin eggs in Cape Crozier. Coincidentally, it was also the week we remembered some much younger Arctic explorers and their school teacher Philippa Wood. 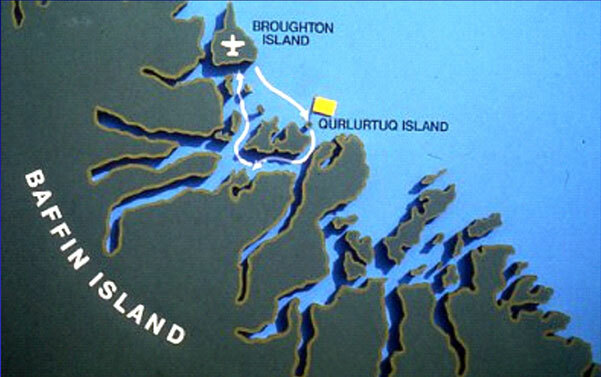 This courageous team were marooned on the Canadian Arctic's tiny Qurlatuq Island in 1978 while collecting plants, crustaceans and butterfly specimens for a scientific youth project. Before the trip, the team were trained by some of our scientists at the Museum. 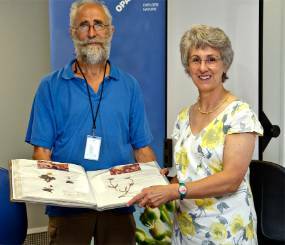 Science teacher Pip Wood (right) presents Museum scientists Roy Vickery and Blanca Huertas with Arctic plant and butterfly specimens collected on a school expedition in 1978 that we helped to train up. 'The plants and other artefacts such as mounted seal flipper bones, a caribou hoof, a snowy owl pellet, and polar bear poo (full of bear fur from either preening or possibly a cub meal for an adult male) have been visual teaching aids over the years. 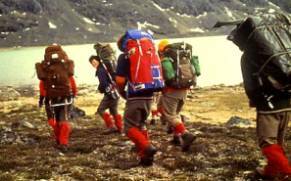 The original Arctic school trip known as BYEX 78 - Baffin Island Youth Expedition of 1978 - took place in the summer months of that year and lasted six weeks. 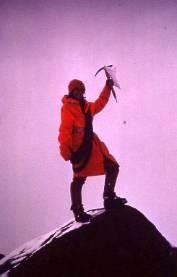 The BYEX 7-strong team of 16-19-year-old boys and girls from three Surrey state schools were the first team of youngsters that included girls to climb to the height they reached in the Arctic. In fact, it was the first-ever state school trip. They were accompanied by four adults including Pip who was responsible for collecting plants on the trip. Their exploration was full of dramatic, ice-cracking adventures! The expedition was even featured in a BBC programme about young explorers. 'We were on Baffin Island in Arctic Canada, but the majority of specimens we collected were from a one-mile-square island, called Qurlatuq, southeast of Broughton Island, where we were marooned for two weeks as the sea wasn't passable by either sledge or boat! 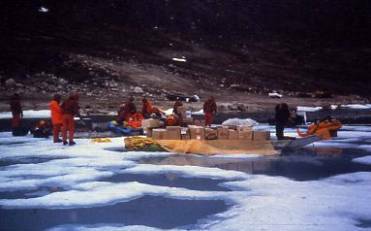 When the 1978 expedition group returned home, the crustacean specimens collected were handed over to our Museum. But Pip hung on to the plant and butterfly specimens as more time was needed to verify and label them. They then became teaching aids. And now they have arrived here 33 years later. Among the scientists who trained Pip and her team before they headed out on their original expedition was Museum botanist Roy Vickery (above left with Pip). Roy has now retired but still works at the Museum as a Scientific Associate. 'When we gave advice about how to collect to school and university expeditions like this one, it was usual for them to donate their collections soon after the completion of their expeditions, but it was often far more difficult to obtain the label data for them. So it's good, after all these years, to receive Pip's specimens, which have been beautifully prepared and fully labelled. The 36 plant specimens donated include an Arctic poppy, rose, sunflower, evening primrose, bluebell, mustard and willow, as well as one fern family. Of the beautiful butterflies, 'one is a 'yellow' and four are fritillaries,' says Pip. They are now being examined and identified by our scientists. The Arctic Baffin Island Youth Expedition of 1978 lasted six weeks. Crustaceans, plants and butterflies were collected. Today, 16 April, we celebrated the 350th anniversary of the birth of Sir Hans Sloane, and the start of our Sloane 350 season. 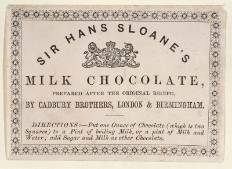 You can find out all about this great 18th century naturalist and physician, who brought chocolate to the UK, on our Sloane 350 website. 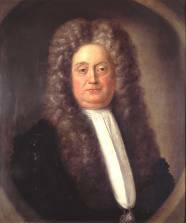 Sir Hans Sloane collected over 400,000 objects in his long lifetime including plants, animals, manuscripts and all manner of antiquities. We have many of his specimens in the Museum and he is effectively the founding father of this Museum. 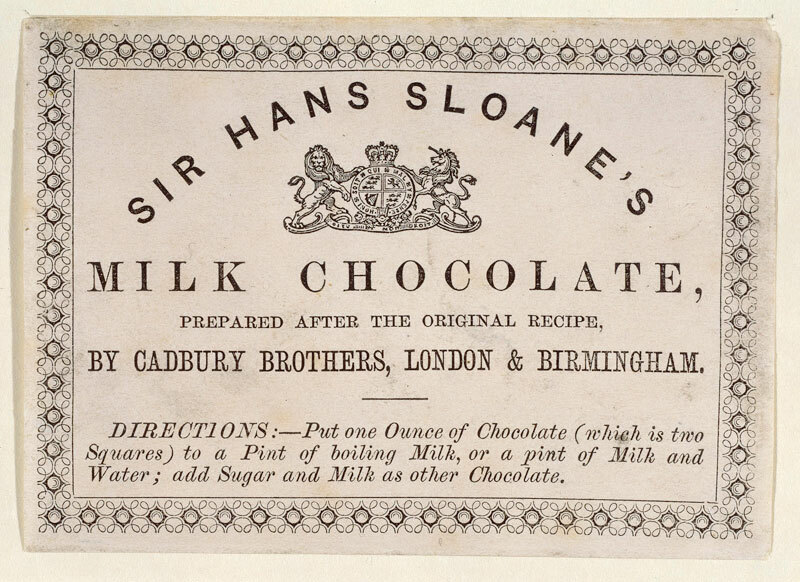 When Sloane first tasted the chocolate drink in Jamaica, where he worked as a young physician early in his career, he described it as 'nauseous'. But the story goes that after trying it mixed with milk, and not water as it was drunk by the Jamaicans then, he found it much more appealing and 'healthy'. He brought his recipe back to London and later, Cadbury's started making chocolate (pictured below) as we know it from his original recipe. The rest is history. One of our celebrity specimens in the Museum is the cocoa Sir Hans Sloane actually collected. 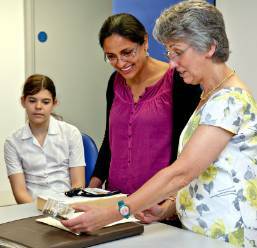 You can explore some of Sloane's amazing collections on the Sloane Herbarium tours. Have a look at our Sloane 350 events web page for details. Today we also featured one of the most beautiful moths in the world, Urania sloanus, as our Species of the Day.This gorgeous Jamaican creature (right), now extinct sadly, was named in honour of Sir Hans Sloane. He was probably responsible for the first illustration of the moth. Find out more on our Urania sloanus Species of the Day page.